It's simple and we won't share your information with anyone else. Enter your Organizational Access Code. Don't have an organizational Access Code? Click here to purchase your own. 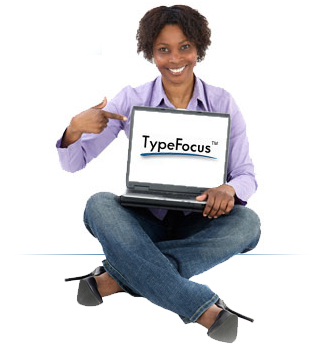 Clicking Submit means that you agree to the TypeFocus service agreement and privacy statement. "This tool is AWESOME, I feel it really has helped me find alternative communication avenues for improving my working relationship with both internal and external customers and peers in general." "This program has definitely got me to thinking about how I approach things and some changes that I might need to make." "This is an amazing tool in helping people narrow down their strengths and provide them a foundation to start looking at their careers and life skills. I really enjoy assessments as once again they are so accurate in where I am at in my career. This assessment allowed me to see where I need to work on things in my career."